Food post, because I am bored. 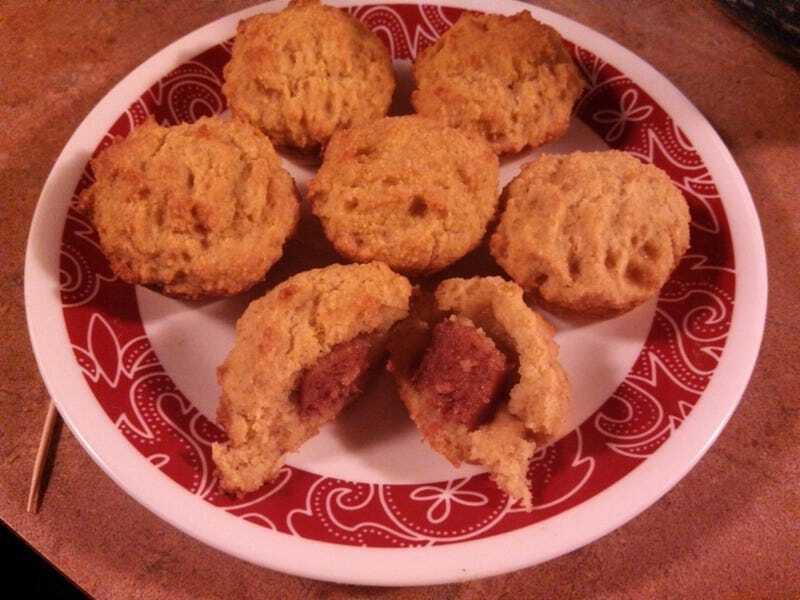 I made Gf/Df corn dog mini-muffins for the kids tonight. There's about 5 left... out of 48. But wait! There's more! This is the chicken and veggie soup I made last night, along with homemade cheese and garlic croutons. (The soup is Gf/Df, the croutons are decidedly not.) The soup is almost entirely made from dried and canned veggies and canned chicken, and it's spicy and yummy. Sadly, I don't have a picture, but Other-Husband got inspired and made a baked Mac n cheese-type casserole, with chicken, bacon, and a southwest-ranch sauce. I don't have a picture, because I was really hungry and it was really, really good. When the TeenChild was told that O-H made baked Mac n cheese, he said "hell, yeah! ", grabbed a bowl, and ran over to get some. I love living with someone else who can cook!